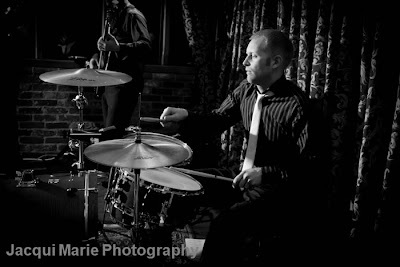 Having live music can really add some zing to your wedding in so many ways. It's great to have a live band to dance to in the evening but for those who don't want to dance they can watch the performance as though they're at a concert - something for everybody. You can also have live performance in your ceremony. It really adds to the intimacy of the moment to know that the music you are experiencing is a one-off. What you are hearing is totally unique just like the moment you say "I will." 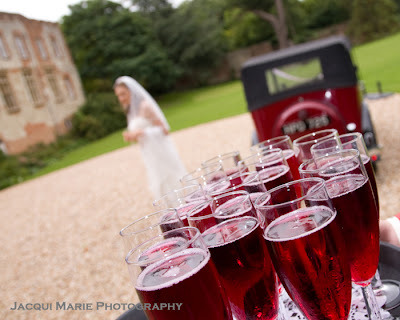 During drinks and canapés the mood can be really enhanced if you have a string quartet inside a medieval hall or maybe a small jazz ensemble if your guests are mingling on a lawn. In this post we will try and give you some idea on what sort of music you could have and some practical advice on how to go about planning and organising it. First of all it is useful to determine your music requirements for your wedding e.g. background, ceremonial, dance. Also, have an understanding of where your live musicians would perform e.g. how much space there is, indoors or outdoors, how much echo there is and whether power is available. Below is a list of Top 10 Live Wedding Music ideas together with useful things to think about if you're considering booking them. Combining live musicians with "canned" music (either from your iPod/iPhone into a sounds system...or having live musicians working alongside a DJ) can give you the best of both worlds. Often musicians will start the evening and hand over to a DJ for the last part of the evening. 1. ORGAN and CHOIR is the traditional music combination for church weddings. They are usually associated with the church you are getting married in and will be used to providing ceremonial music. All you will have to do is select your music/hymns. Nowadays fewer people are familiar with church music and it is often a good idea to book the organ and choir so there is a strong core to the music. It can be a bit uncomfortable if your guests mumble through the hymns with no organ/choir to back them up. 2. PIANO is fantastically flexible at a wedding. It sounds amazing as indoor background music but can also be used for ceremonial music. Some pianists can also do a comedy act and/or will sing as well. Many pianists will bring their own electronic piano. These sound fantastic, they're always in tune and take up very little space but do require mains power. 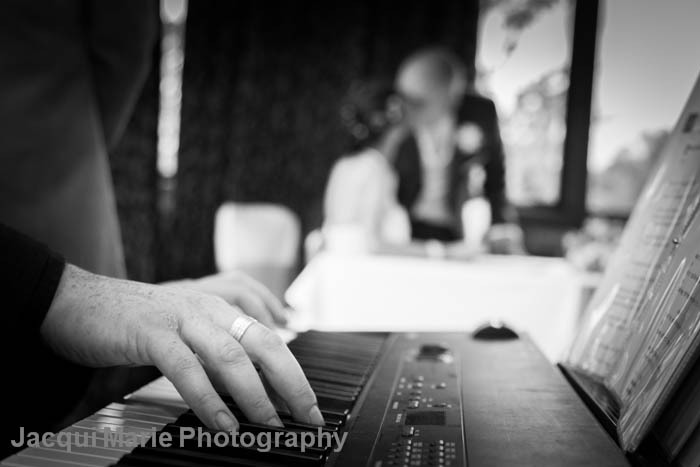 It is worth finding out whether your venue has a quality piano that is kept properly maintained and regularly tuned. 3. 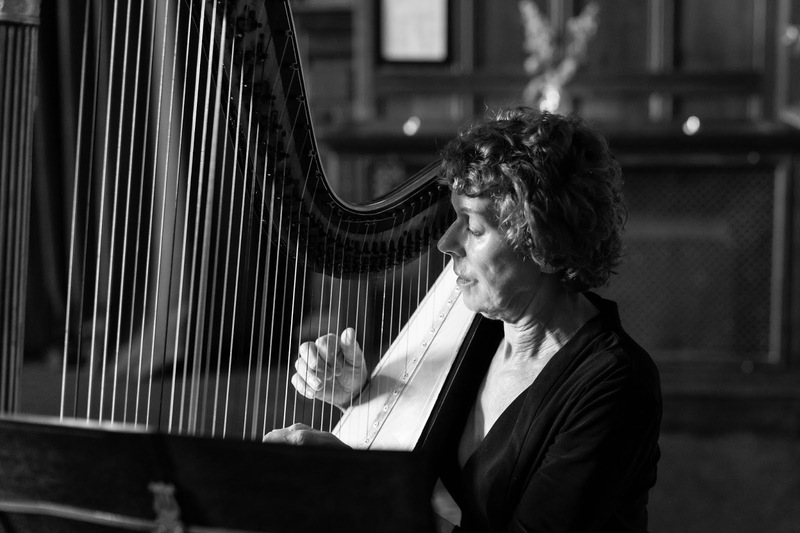 HARP is wonderful as background music and is plenty loud enough to fill a good sized room but takes very little space and does not require mains power. It is not really suitable for outdoors and is not often used for ceremonial music. It works very well in a ceremony room whilst waiting for the bride and as background music during the wedding breakfast. It is a very calming sound. 4. 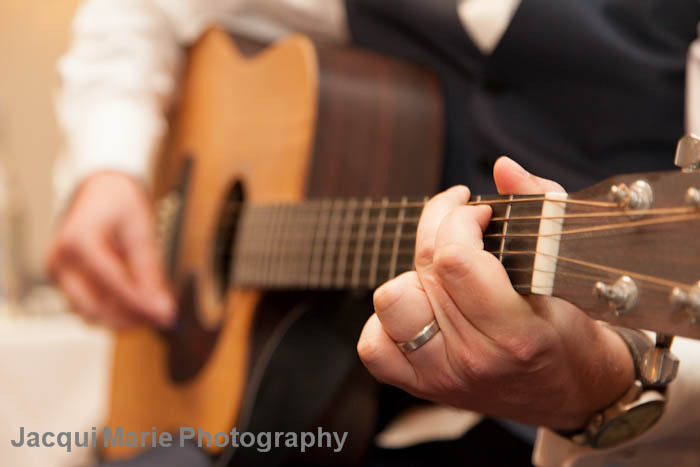 ACOUSTIC GUITAR can provide a wonderful interlude during a ceremony but is also very good for background music in intimate indoor rooms. It takes up very little space and does not require mains power. Like the harp, it provides a very calming sound. 5. STRING QUARTET is great for background music both inside and out. 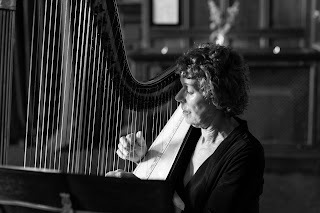 They can also be used for ceremonial music at intimate ceremony venues e.g. a hotel room, stately home room, chapel or small church. They are great for background music during canapés and wedding breakfasts. They are not really suitable for large churches, cathedrals or weddings on large grass fields. Their repertoire is often wide ranging and can be great entertainment. 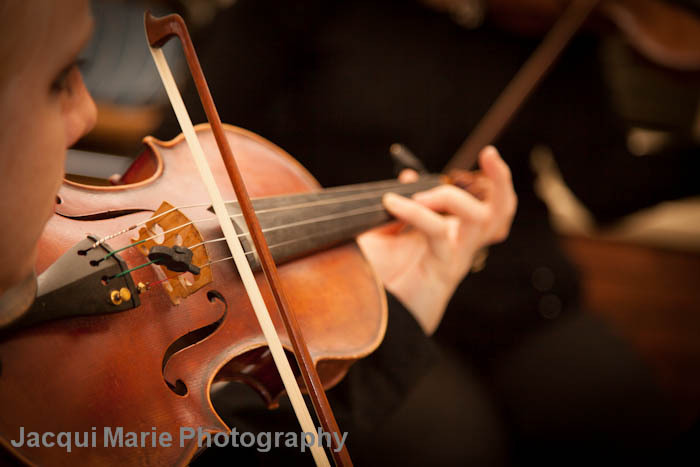 If you want them to play particular pieces at your wedding you should mention it to them before hand so they can make sure they have brought the music with them. 6. 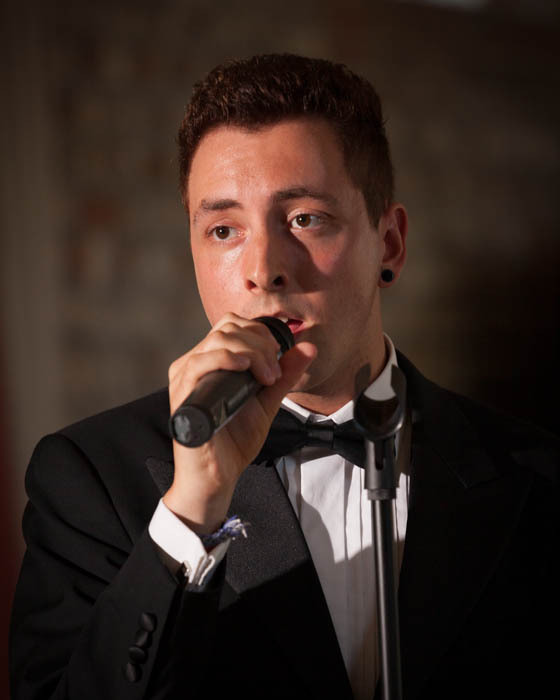 SOLO SINGER can be great for background music during outside canapés and wedding breakfasts if the room is big enough. 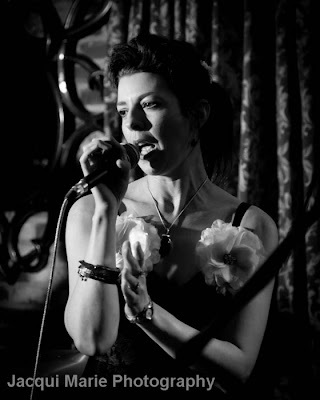 Solo singers usually bring their own sound systems that will require mains power. They can be very good for a First Dance and some will have sufficient repertoire that can sing throughout the entire evening disco. Such singers sometimes have lighting as well as sound systems. Some solo singers are actually tribute singers and have very elaborate remotely controlled lighting and backing tracks so they can get your guests really excited even before they get on set. 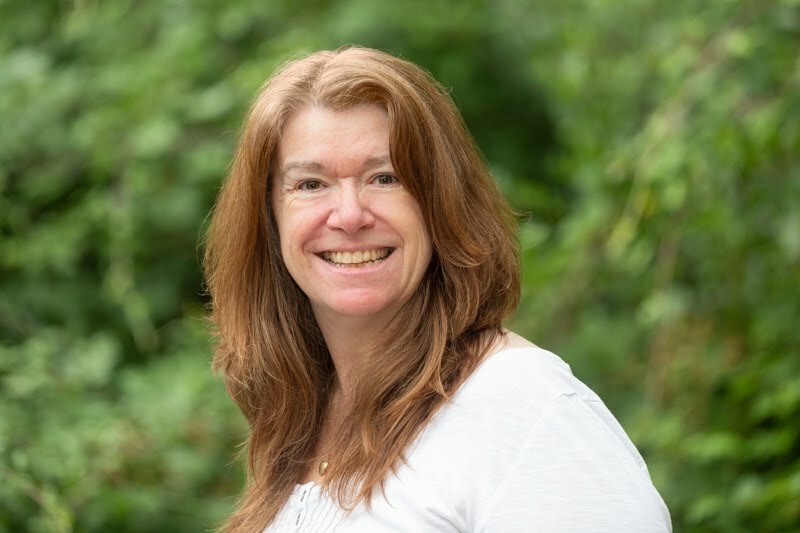 Some singers have a very varied repertoire, some specialise in a particular genre so make sure you have this discussion them before you book. 7. 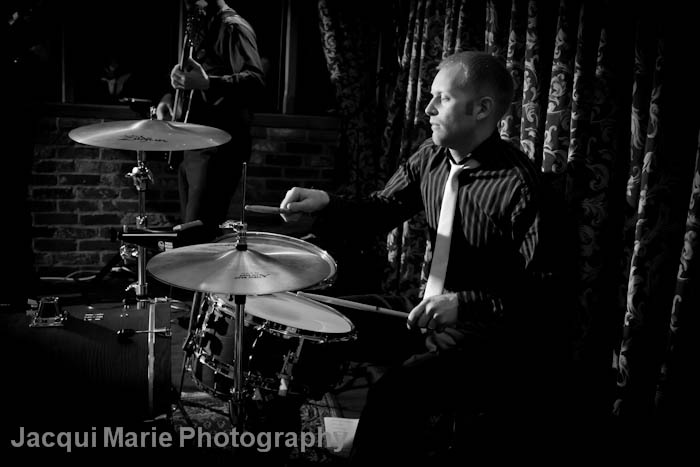 JAZZ QUINTET can be a fantastic way of setting the mood for a vintage themed wedding. 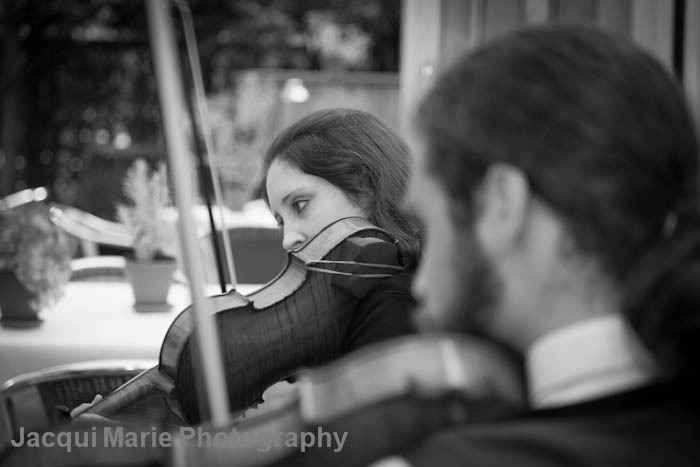 They are a little louder than a string quartet and can sound fantastic on the lawn of a stately home whilst guests play croquet with vintage cars on the drive. It can sound very Jeeves and Wooster. Jazz quintets can also be terrific for the party in the evening. They do not need mains power. We've had them used for ceremonial music too and it has worked very well. 8. ROCK/POP TRIBUTE BANDS can sound amazing at the party in the evening but they need quite a bit of space and can take a while to rig up. They will also need mains power. A good live band can be a fantastic ending to a perfect day and it can be like being at a concert. Some bands can be uncomfortably loud in a room that is too small for them but there are some very small bands who have very little equipment and sound fantastic. 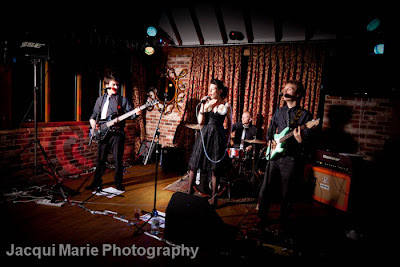 So have a look try and book a band that would best suit your venue as well as your tastes. 9. 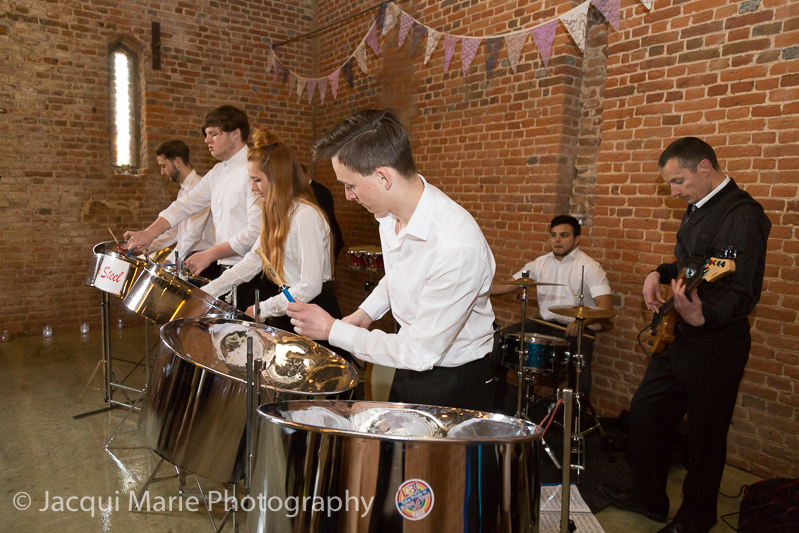 BRASS BAND/WIND BAND can be a fantastic way of adding authentic vintage sounds to a wedding in a large field or on the lawn of a stately home. Brass bands can sound very 1930s Agatha Christie/church fetes. The band does need some space and chairs but does not need mains power. Outside, especially on grass, a brass band is a lovely background sound. A brass band is also very good for ceremonial music in medium to large churches or cathedrals. They are a little too loud and strident to be good background music indoors. They are not usually very good for the traditional evening party because they don't normally have large amounts of dance music in their repertoire but they will often put on a good concert, particularly if you want to put on something of a Last Night Of The Proms type of evening rather than the more normal disco dance. 10. ORCHESTRA and CHOIR are amazing in a large church or cathedral. 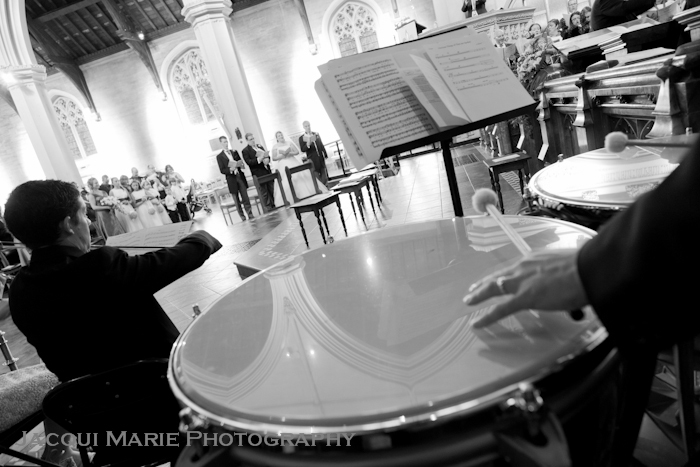 Nothing can make a bride feel more like a princess than walking up the aisle to the sound of trumpets, timpani, strings and a big four part choir. They won't need any mains power but they will need considerable space and enough light to read their music. They may also require some rehearsal time to be scheduled in because it is likely that it is an ensemble put together specially for your wedding. 11. 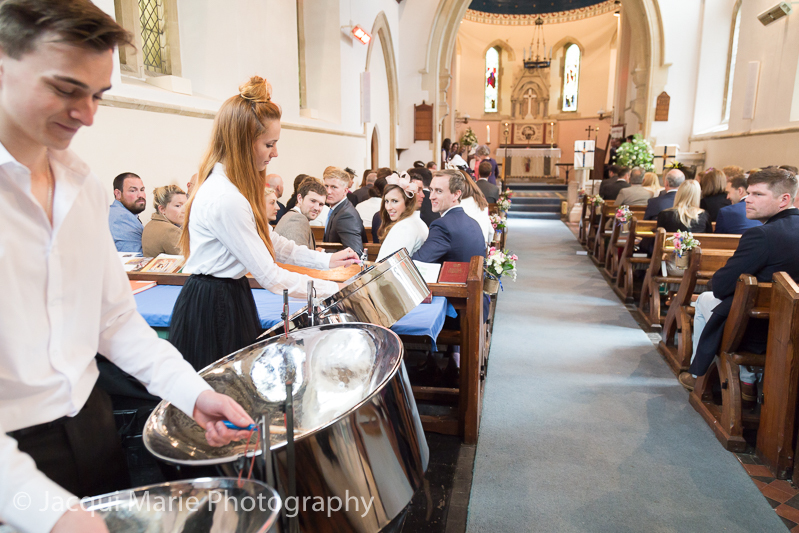 STEEL BANDS - We will admit that we flinched at the thought of a steel band at a wedding but it was amazing. There was a small steel band ensemble in the church which was used for the ceremony and it was very mellow and calming and beautiful. Then later a larger ensemble was used in a huge barn. They were amazing. They played great rock/pop dance numbers and brought the house down. This particular steel band not only had the steel drums but also an drum kit and an electric bass guitar so some steel bands may need power and quite a lot of space. Hopefully this has given you an insight to some of the possibilities regarding live music at your wedding. Get it right and it can sound fantastic...and with a little planning it is very easy to get it right. Enjoy. The Groom and the Maid of Honour? Really? When Mr D'Arcy says "Come!" A Song of Ice and Fire - Winter is Coming? "Steve, would you mind lying down for us?" Southdowns Manor have Nailed it!